“The #MeToo and Time’s Up movements constitute a revolution in women’s rights that is too powerful to be turned back,” said Roberta Kaplan, co-founder of the Time’s Up Legal Defense Fund, in October 2018. But a recent Seventh Circuit decision (Swyear v. Fare Foods Corp.) dismissing an employee’s sexual harassment claim could jeopardize the momentum of the revolution. On June 18, 2015, Fare Foods interviewed Amy Swyear for an outside sales representative position. During the interview, a hiring manager remarked that most of the other outside sales reps were men. He questioned Swyear about her ability to perform in a male-dominated field. The manager’s comments only hinted at what Fare Foods had in store for Swyear. At the office, Swyear frequently overheard her new coworkers making crude sexual remarks and referring to female customers as “Cunty” and “Big Tittie.” Working in the field proved to be worse. In mid-July, Swyear and another sales representative, Russell Scott, attended an out-of-town overnight business trip. During a conversation with the client, Scott falsely implied that he and Swyear were sharing a hotel room. At the hotel, Scott followed Swyear into her room and suggested that they have dinner together. Scott followed Swyear into her room without consent, got in her bed and said he wanted a “cuddle buddy.” He asked Swyear to go “skinny dipping” with him and put his hands on her lower back and arms. Scott eventually left Swyear’s hotel room, but he later returned. Swyear pretended to be in the shower and ignored Scott’s knocking. But Scott would not relent. He repeatedly called Swyear’s cell phone, demanding to enter her room. Swyear reported Scott’s harassment during a performance meeting about one week later. Less than one month after the meeting, Fare Foods terminated Swyear’s employment. The Seventh Circuit concluded that the harassment was not sufficiently severe and pervasive to constitute a hostile work environment and entered summary judgment for Fare Foods. The court forgave the “crude,” “immature,” and “vulgar” sexual comments because they were “off-hand” and not directed at Swyear. Similarly, Judge Bauer, writing for the court, excused Scott’s unwelcome sexual comments, advances, and touching because it occurred just once. The court’s decision indicates that, absent physical sexual assault, an employee cannot meet his/her burden to show a ‘severe and pervasive’ hostile work environment. Essentially, the court’s decision gives employers a free pass for egregious sexual misconduct, as long as it only happens once. But one time is one too many. The #MeToo movement has helped thousands of sexual harassment victims get justice against their harassers. Unfortunately for Amy Swyear, the Seventh Circuit has yet to realize the effects of the movement. But worse, it may have set a dangerous precedent for future sexual harassment claims. 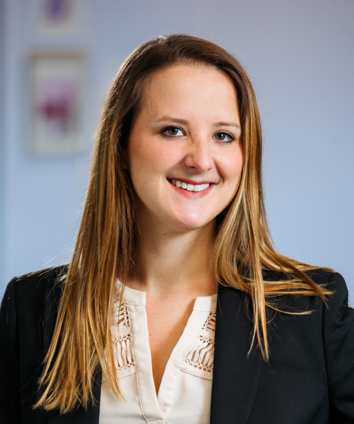 About the Author: Krista Wallace is an Associate Attorney at Alan Lescht and Associates, P.C. in Washington, D.C. Alan Lescht and Associates, P.C., has partnered with the Time’s Up Legal Defense Fund to represent private and public-sector workers in federal court proceedings and before administrative agencies. This entry was posted on Friday, March 8th, 2019 at 9:18 am. You can follow any responses to this entry through the RSS 2.0 feed. You can leave a response, or trackback from your own site.